Please scroll down to your desired section. Brian Dowd has spent the last 10 years of his life wrestling with an unrequited "something" for his best friend's sister, who happens to live next door. But each and every time he's spoken with Beth Finnegan for more than 30 seconds, he's ended up with his foot planted firmly in his mouth. Now, Brian's time is about to run out. With recent news that Jerry Finnegan's sister is getting married, the time has come for him to put up or shut up. Like John Wayne in The High and the Mighty, Brian has reached the point of no return. What's he got to lose--except the love of his life! In a series of fast-moving, hysterically funny scenes, two actors play Brian and Beth from ages seven and six, through their adolescent and teen years, right up to the moment the play is happening, when they're both in their early 20s. This highly acclaimed comedy has charmed audiences of all ages, and has been produced with great success in a number of theatres nationwide. It has been hailed by critics as "A delight...a gem! Has enough chuckles, guffaws and belly laughs to please any patron." 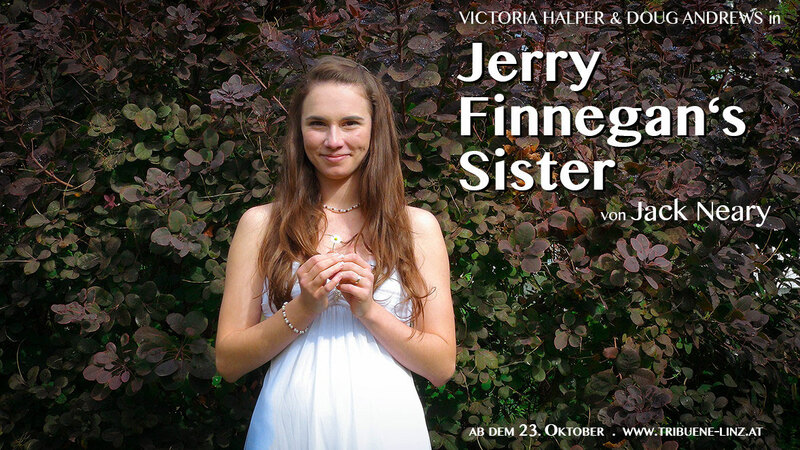 You will find special downloads for "Jerry Finnegan's Sister" here. Inability to Communicate, Love, Courage, Jealousy, Competition, Youth, Friendship, Family, Growing Up, and Planning for the Future. "A refreshing play with direct contact with the audience making learning and practicing english fun! The two native speakers are very understandable and difficult vocabulary is translated in the programme. 'Jerry Finnegan's Sister' shows a typical everyday american lifestyle but focuses on topics like problems communicating, love, and coming of age. Both actors are authentic and believeable and make this great show into what it is - a lively and educational feel good show!" "Comedic play in English! 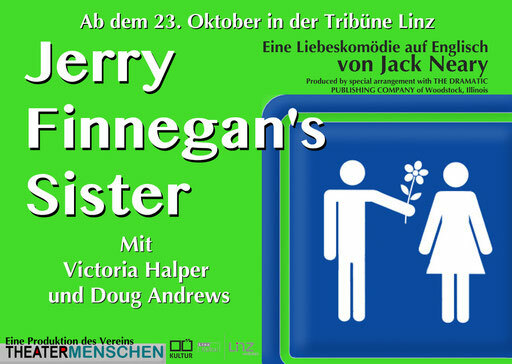 The chance to see professional actors who are also native speakers is given with the english language play "Jerry Finnegan's Sister". After their successful premiere at the Tribune Linz there are more performances to come, including a special performance at the BRG Traun on Tuesday October 29th. Victoria Halper, the Austrian-Canadian director produced this two person show and along with Doug Andrews stars as one of the two actors. 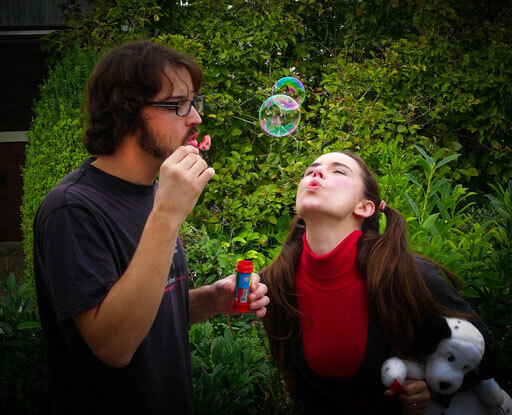 The play is a captivating journey through the various phases of Beth and Brian's lives, from childhood to their twenties. These phases comically show us how Brian tries to get Beth to notice him." "The Theatertipp on Wednesday, October 23rd 2013! English theater suitable for school groups 13 yrs +." "Congrats to the great Premiere, we reall enjoyed it!! In terms of the language, we understood everything eventhough we were worried at the start that we may not understand all of it. A very moving story not only for teenagers or young adults but also those who are young at heart and can remember the first time they fell in love. Thank you to the two wonderful actors!" 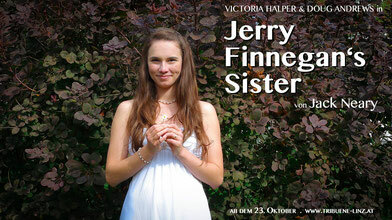 "Congrats to the Theatermenschen for the very successful Premiere of "Jerry Finnegan's Sister" at the Tribüne Linz. Everyone who understands a little bit of english: Go! Watch! Now!" Tribüne Linz. Eisenhandstrasse 43. 4020 Linz.